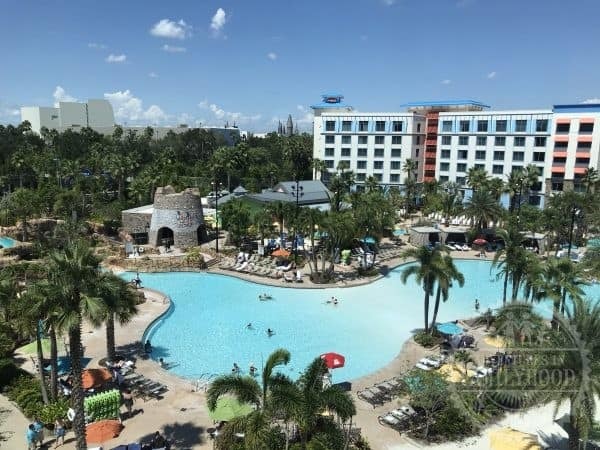 When you stay at Loews Sapphire Falls at Universal Orlando Resort, you’re on island time. 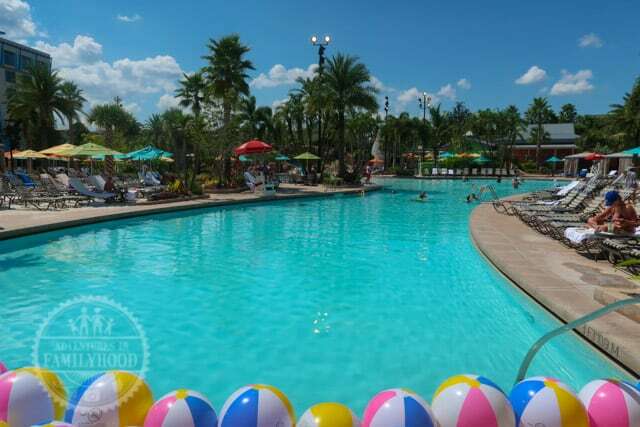 This gorgeous hotel, located in the heart of the resort, is the perfect on-site Universal resort for families. From spacious accommodations to its convenient location, to its affordable price, Loews Sapphire Falls is just what families are looking for. I visited Universal Orlando Resort as part of We Grow Retreat 2018 sponsored by Universal Orlando Resort and Mediavine. All opinions are my own. Loews Sapphire Falls is one of Universal Orlando’s on-site resorts. It is considered to be one of their preferred or moderately priced hotels. 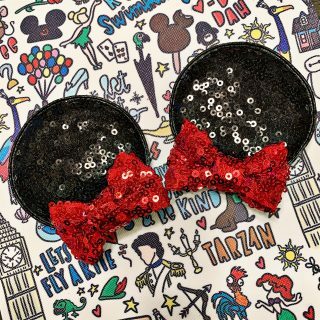 While your mind will tell you that you are in Orlando, your body will feel as if you’ve been transported to a Caribbean resort. With its lush grounds and tropical vibe, Loews Sapphire Falls is inspired by leisurely estates in the heart of the tropics. 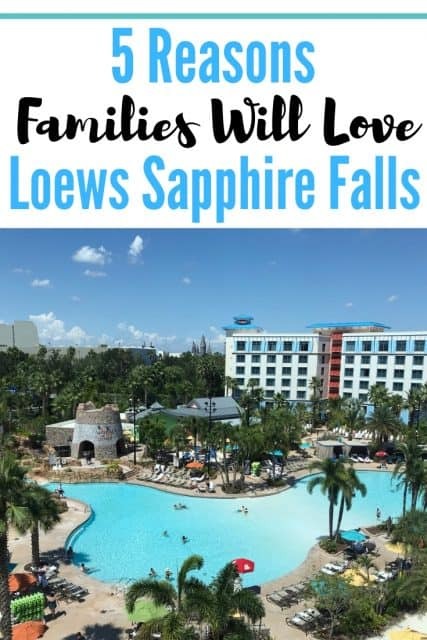 But why is Loews Sapphire Falls good for families? 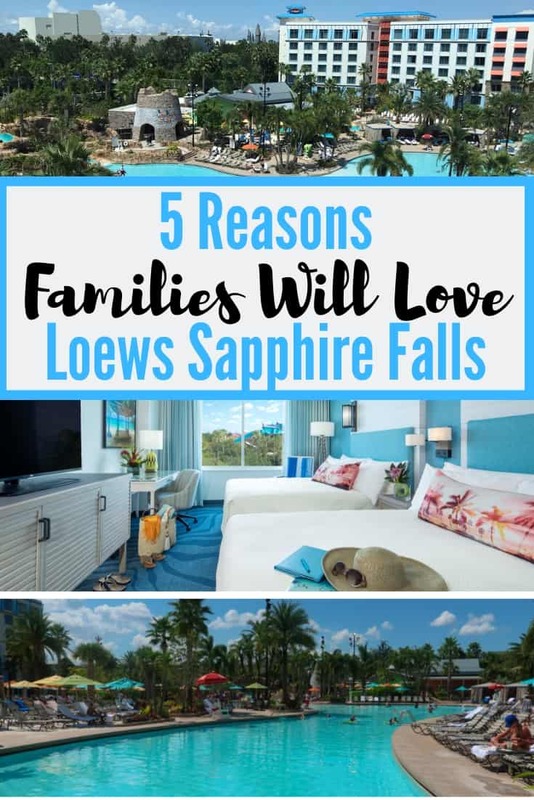 Here are 5 reasons why families will love Loews Sapphire Falls Resort. When you travel with kids, location is everything. You want your hotel to be close enough to the area attractions to make visiting them convenient. Plus, it will make getting back to the room for either afternoon naps or at the end of the day much easier. 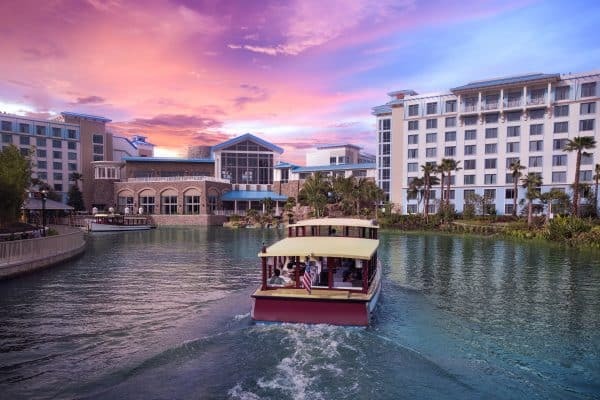 Loews Sapphire Falls is located almost smack dab in the middle of the Universal Orlando Resort. It will take no time at all for you to get to all the action. 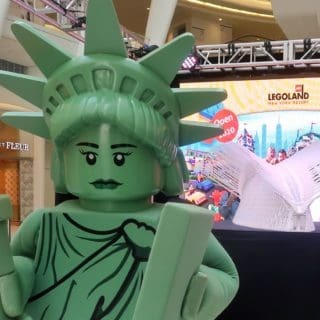 Walking paths will take you on a short 10 minute walk to Universal Studios Florida, Universal’s Islands of Adventure and Universal’s City Walk. You could also opt to take a boat shuttle, which is a short ride. The hotel is also close to Universal’s Volcano Bay water park. While walking is an option, it does take some time. Thankfully, the resort offers a shuttle that will offer you door to door service. 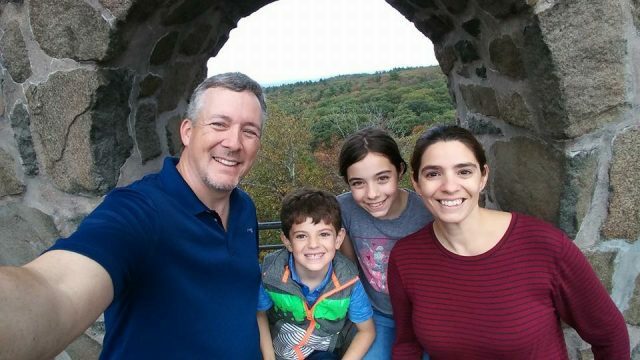 While we don’t spend as much time as we’d like in our hotel room when we travel, we still want our accommodations to me comfortable enough for the whole family. 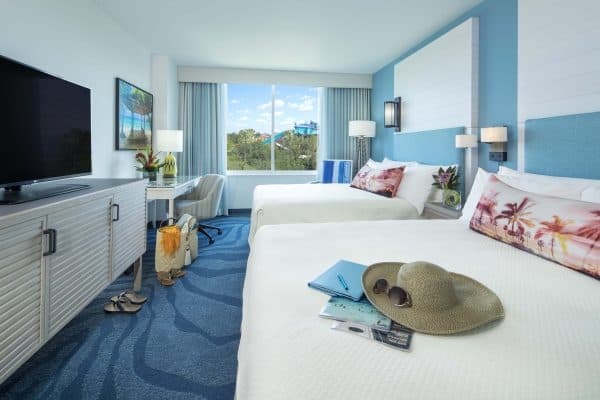 The rooms at Loews Sapphire Falls are quite spacious and continue the relaxed, island vibe theme. The resort offers 1000 guestrooms. During my visit, I stayed in a 321 square foot pool view room. This type of room would have provided ample space and then some for my family of 4. The room also offered amenities families look for such as a mini- refrigerator, coffee maker, wi-fi and flat screen TV. Most rooms are able to accommodate 4 guests. Families needing more space can book one of their 83 suites. These accommodations offer more square footage, separate rooms, and in some, kitchen facilities. While the resort is considered a preferred or moderate, the prices per night are surprisingly affordable. Rates range from $179-$289 a night depending on room selection and time of year. Even though the rates are slightly more than a value, you are getting more bang for your buck. 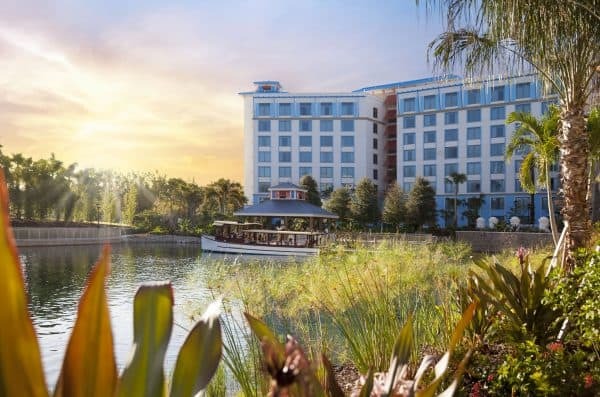 Families will find the deluxe amenities such as the water taxi to the theme parks worth the splurge. At Loews Sapphire Falls, the longer you stay, the more you’ll save. By booking a “Stay More, Save More” Package, you’ll save more on the nightly cost of your room. For some families, this may mean that they can save enough to be able to upgrade to a suite. They also offer a Florida resident rate for locals wanting to take a break from it all. If you ask my kids what they look for in a hotel, their only answer is that it has a great pool with a cool water slide. Loews Sapphire Falls has both. First the 16,000 square-foot pool has two sand beaches and cascading waterfalls. My favorite part is how the middle of the pool is zero entry. That’s great for families, especially with little ones. They don’t have to be exiled to one side of the pool. The whole family can play together in the heart of the action. Nestled in the rock formation by the pool is water slide. Kids (and some adults too) will enjoy the twisting and twirling down the slide before plunging in the crystal blue water. Cabana rentals are also available for families who want just a bit more privacy and relaxation. While some people say traveling with kids is more like a trip than a vacation, at Loews Sapphire Falls it’s definitely a vacation. The resort’s tropical vibe and laid back “island time” attitude, makes you feel like you’ve escaped to the Caribbean. In fact, at check in you’re instructed to relax and enjoy. There are enough amenities and activities to make a stay here a relaxing and enjoyable vacation. Are you ready for Universal? 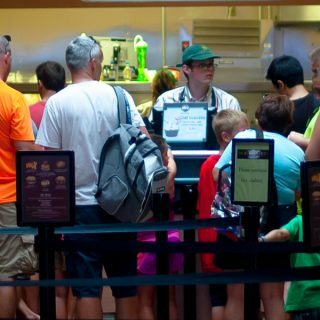 Be sure to check out our Ultimate Guide to Universal Orlando for Families before you go.